About Organization: Mahanadi Coalfields Limited (MCL) is one of the major coal producing company of India. It is one of the eight subsidiaries of Coal India Limited. 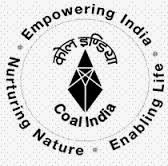 Mahanadi Coalfields Limited was carved out of South Eastern Coalfields Limited in 1992 with its headquarter at Sambalpur. Qualification: Candidates must possess Matriculation, ITI with 02 years course plus one year training and LT permit under Indian Electricity.